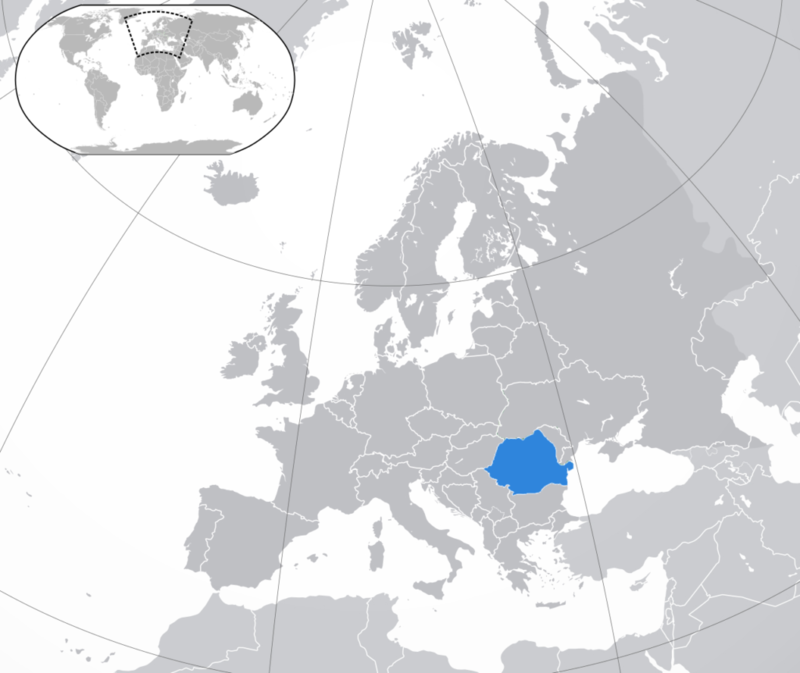 Romania is the country in Southeastern Europe. 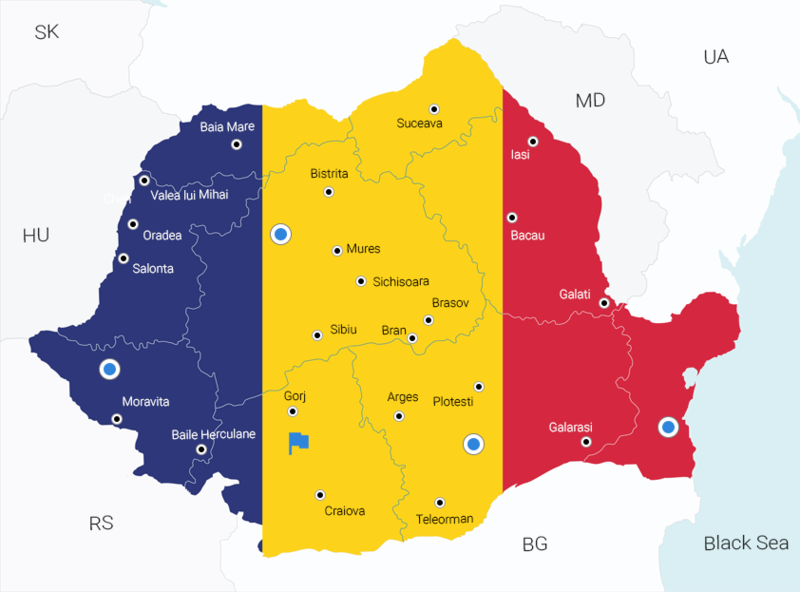 Romania is one of the most dynamically developing countries of the European Union. In 2015, the Romanian economy was in the first place in the EU in terms of GDP growth. GDP level is growing every year, which makes Romania a successful economic power. Also, from January 1, 2018, the Romanian government have reduced the personal income tax from 16% to 10%, which also accelerate economic growth. The population of Romania is about 20 million people, and the number of partisans in the IT technology market is equal to 120 thousand people. - this number includes all the staff involved in the business process outsourcing: custom software development and product development, client and product support, as well as miscellaneous supporting functions. Personal Income Tax in Romania is the flat income tax rate of 10% compared to 16% last year. Corporate Income tax rate is based on the income within a fiscal year and amounts to 16%. Social (Pension) and Health Insurance Contribution for an employee amount to 25% and 10% respectively. Whereas, an employer pays 2,25% as Work Insurance Comtribution per employee. The employment contract shall be terminated by the parties agreement and is envisaged by the contract individually. In case of dismissal, notice period shall not exceed 20 working days. According to the Romania legislation, there are dismissal conditions that depend on an employee and those that are not. Dismissal conditions not related to employee are usually limited to closure of the position/redundancy. Prices normally do not include VAT. The latest ANIS (Employers’ Association of the Software and Services Industry) report on Software and IT industry in Romania informs that 70% of the local IT industry is currently controlled by foreign investors primarily, hence, providing Romania with a substantial advantage in terms of its labor market reliability and vast talent pool – around 125K employees are currently working in the software development industry. The IT market is primarily based on outsourcing activities. Yet, comparatively low cost of living is another point that attracts foreign businesses whereas the companies’ salary expenses here are lower if compared to the same in Western Europe. The EU membership has greatly influenced the labor market in the IT industry. 12% of the total number of IT employees have been hired by the top IT companies. The key IT cities of Romania are Cluj Napoca, Iasi, Timisoara, Brasov, and Bucharest. Romania makes a huge investment in the future generations of software developers and engineers, establishing the higher education system adapted to the demands of the modern developing world. Since 2015, there have been realized numerous initiatives for involving schools into the preparation for future employment in the IT&C sector. To provide technical education, Romania has five Polytechnic Universities, 59 domain-specific universities, and 174 private colleges. What makes Romania even more advantageous for foreign investors and employers is a strong pool of skilled talent as well as the companies willing to hire “resourceful, open-minded and creative individuals” striving for learning new technologies. There are over 17K graduates annually allowing the companies growing their departments rather quickly.